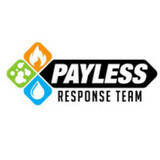 Payless Response Team is a trusted leader in Water Damage, Fire Damage and Mold Removal services. 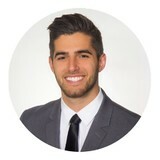 Our company specializes in restoring residential and commercial properties damaged by flooding, fire, smoke and mold in Dade, Broward & Palm Beach counties. Payless emergency response teams are available 24 hours a day, 365 days a year using the latest equipment and products and proud to employ quality damage restoration professionals with superior skills and certifications. Our restoration team is fully insured, licensed, and is registered to do business in Florida. We pride ourselves in restoring damaged residential and commercial properties quickly and efficiently and our commitment to the highest level of customer satisfaction. If you have suffered property damage or been a victim to disaster and your company is looking for an professional damage restoration company , call (954) 404-3523 today! Has your Miramar, FL home been damaged by a flood? Or do you have to deal with mold removal? Environmental services and restoration professionals can help with everything from supplying you with mold test kits to helping restore and rebuild your Miramar home, returning it to its original condition. Find environmental services and restoration professionals on Houzz. Narrow your search in the Professionals section to Miramar, FL residential environmental testing and home disaster restoration services to find a list of qualified professionals. Read through professional profiles for information on qualifications, experience and services provided.